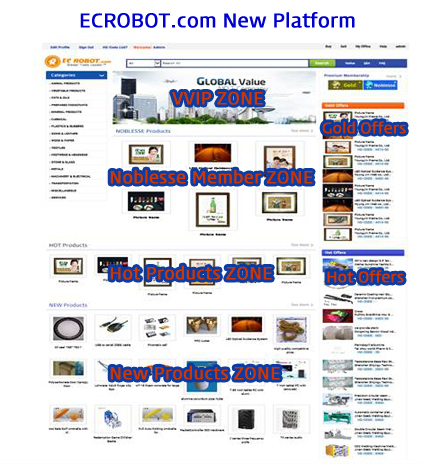 Jump Function(Jump Up) provides a differentiated service only of ECROBOT.com that other trade sites don’t have. Jump Up(Top ranked jump Advertising) is a commercial service that your company can be promoted on the main site as user-based new commercial method. 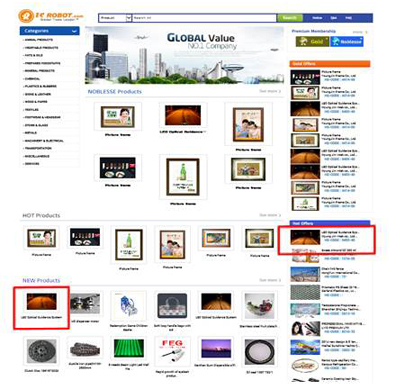 When searching Products with key words, such as VVIP Zone, Noblesse Member Zone, Hot Products Zone, Gold Offers Zone, also Selling Leads or Buying Leads, and search Categories, user pushes the Jump Function(Jump Up), then as products of the company will be exposed to the top of top, product promotion will be maximized. 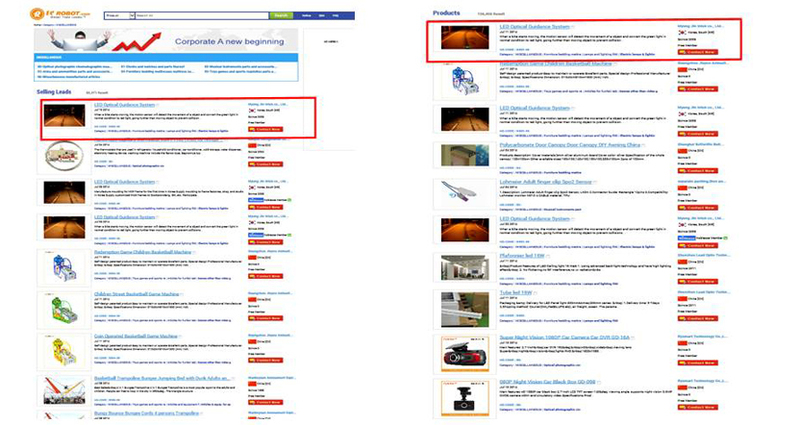 When searching products with key words, searching Selling Leads, searching Categories. Then will expose to the top of top on New Products Zone, Holt Offers Zone, and product promotion will be maximized. 1) VVIP Zone : Noblesse Member AD. Noblesse Member of Jump Function will be served 3,000 times for 1 year. You can purchase additionally and use for the case the Jump Function is needed.